The men’s senior cricket team will leave for Thailand, tomorrow, ahead of the Asian Cricket Council Eastern Region Cup. The team is confident of winning the tournament, given past records against the other participating teams. 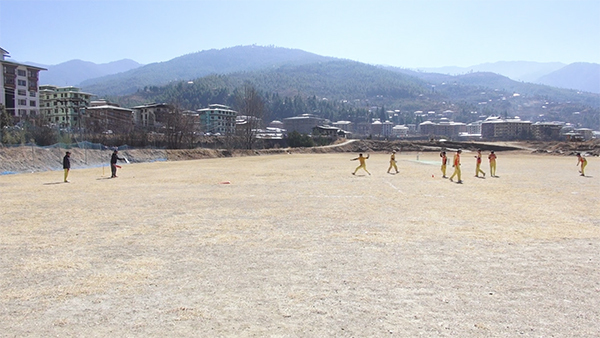 Bhutan will play a few warm-up matches before the tournament begins, next week. The team invited Assam’s Bud Cricket Club for a three-match series, last month, in preparation for the Twenty20 tournament. The tournament will feature three other nations, all of which, Bhutan managed to beat in the past tournaments. “Especially for this upcoming tournament we have great chance of winning because we have won all three countries before. So now also in this tournament we are competing with each other again,” told Damber Gurung, Head Coach to BBS News, adding their target is to win this tournament and is pushing the players to practise hard. Bhutan will start proceedings against China on 21 February, followed by match against Thailand, and Myanmar. The top team after the three matches will win the tournament.